Met with praise and optimism of a stronger digital economy and economic ties between Malaysia and China, the Digital Free Trade Zone (DFTZ) was officially launched on 3 November 2017 via the DFTZ Go Live event at the KACT1 facility in Sepang. Gracing the event was the Prime Minister of Malaysia, the Honourable Dato’ Sri Mohd Najib Tun Abdul Razak, along with Jack Ma, founder and executive chairman of China-based Alibaba Group. This marks the first DFTZ in the world, and also the first electronic world trade platform (eWTP) outside of China. As of the launch date, 1972 merchants have come onboard the DFTZ programme. “We want to redefine global trade, and be leaders in the world, along with China and Alibaba, as well as the leader of the region. The DFTZ is a regional hub, and a major transshipment hub as well,” said prime minister Najib, adding that the DFTZ will create 60,000 new jobs in the area by 2025. “I want SMEs to see phenomenal growth, growth by leaps and bounds, and the DFTZ will make it happen,” he added. 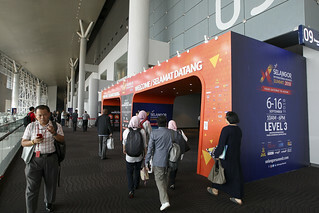 Jack Ma, who also spoke at the event, expressed that he was initially astonished and surprised by the vision of Malaysia, and the speed with which the DFTZ was established. Ma praised Malaysia and its premier, for taking away all the barriers against the DFTZ so quickly as well. 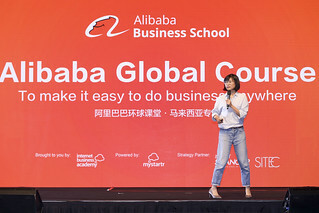 “So many countries say they want to do something for SMEs, but Malaysia is the first country whose government has actually done something and taken action,” said Ma, adding that Alibaba is committed to making this “first DFTZ, this first eWTP, a huge success”, with the reasoning that, should this first run succeed, the next one should as well. 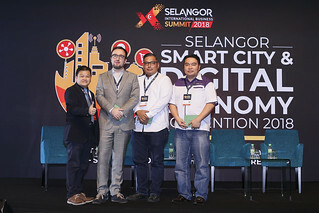 Yasmin Mahmood, the CEO of the Malaysia Digital Economy Corporation (MDEC), was also quoted as saying that the DFTZ will aid in “creating a new breed of SMEs who are able to trade globally and seamlessly” during her welcome address, following the tour of the KACT1 facility and the groundbreaking ceremony. The event also saw the official launch and groundbreaking ceremony of the KLIA Aeropolis DFTZ Park, which is Alibaba’s first regional eFulfillment hub outside of China. The hub is expected to double the growth of Malaysia’s air cargo volume from the current 700,000 tonnes a year to 1.3 million tonnes a year within the next decade. The hub will optimise border clearance and reduce clearance from an average of 6 hours down to 3 hours and below, with a 90% Service Level Agreement. It also aims to improve Cargo Terminal Operations from 4 hours down to 90 minutes. The hub, which will be developed in two phases, will be equipped with some of the latest technology, including a test batch of shelving management and picking assistant robots such as the ones used in Alibaba’s facility in China. It will also serve as a cluster of facilities for customs clearance, warehousing and logistics. The first phase is the development and operation of the facility at KACT1, which has been refurbished and will be operated by Pos Malaysia to serve Lazada and other e-Commerce players. The second phase will be a greenfield development over a 60-acre plot of land, which will be jointly developed by Malaysia Airports Holdings Bhd and Cainiao Network, the logistics arm of Alibaba. The joint venture agreements were signed and exchanged during a ceremony during the launch, and the second phase is expected to be operational by 2020. There was also a fireside chat featuring the Prime Minister and Jack Ma. Ma noted that one particular importance of the establishment of more DFTZs is that there is no free trade zone designed only for small businesses. “The current free trade zones all cater to the larger companies. This DFTZ, while the first, will not be the last. This platform will help Malaysian SMEs reach markets in China, Russia, and Europe,” said Ma, adding that the DFTZ model in Malaysia will be an example for other countries to learn from. The Prime Minister also endorsed embracing technology and e-Commerce, stating that “either we accept the challenge and be a part of it, or be marginalised and left behind”. “Our young people have to learn and be prepared for these, and for occupations that do not exist yet. 65% of jobs are not in existence, and we prepare the young people by teaching them to have higher thinking skills, solve problems, work in a team, and so on,” he said. Ma echoed his support of the importance of education, noting that education is the key. “Don’t compete with machines who work harder and are smarter. We should teach our kids to be innovative, creative, and constructive. AI is going to create higher paying jobs, but that requires a different skillset. Just remember the 3Qs. EQ for working with people, IQ for thinking and solving problems, and LQ, the Love Quotient, to better work with people,” said Ma.